If you have played MMO PvP at all over the years then you know how big of a problem CC has been to developers. There is nothing worse than losing control of your character. It makes you feel completely helpless and is one of the most frustrating things about PvP. How many of us have yelled in frustration as a rogue stun-locked us to death in WoW? How about getting feared and DPS’d down by a warlock? Or how about ‘sheeped’ by a mage while your healer was killed? And that’s just WoW. If you played DAoC, you will never forget the mez and stun bombs. Not every CC is in the form of a stun, sleep or fear. In Warhammer my Ironbreaker had 3-4 knockbacks. 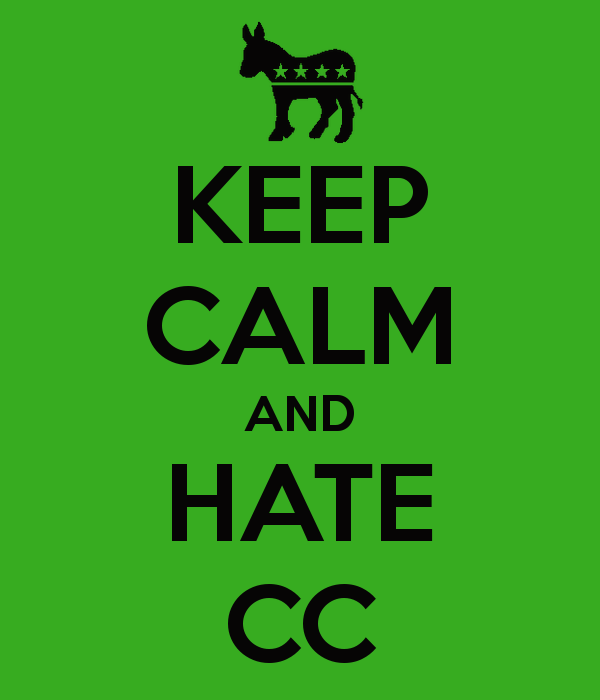 Its not a normal type of CC but it is a CC and could be incredibly frustrating. I could keep players away from the healers at will, just by knocking them back constantly and God help them if there was a cliff or lava nearby because they would immediately be knocked over the cliff or into the lava. Warhammer also had the Magus, who could pull multiple characters into the center, where they could all be AoE’d down by a coordinated group. Wildstar: Are they missing the point? 40 man raids. Attunement quests. Its all there and its all straight from Vanilla WoW. I can appreciate this. There are thousands of players who long for a return to the old days of World of Warcraft. Look at any MMO forum and you will find them. Hell, I am one of them. I loved Vanilla WoW. I think WoW has lost something in its search for the casual player. But I am not sure what they have lost is something Wildstar has found. In a strange reversal of fortune, I am trying Wildstar out. This is particularly strange when you consider Pitrelli just reversed himself and decided to give Elder Scrolls Online a go and drop Wildstar. Now I need to explain; I did not pick it up again of my own free will. I have a friend who is begging me to play it. He got further than I did and seems to love it and he really wants me to play with him. Me, being the great friend I am, decided to give it another go. What follows is an updated impression. First of all, many of my problems in my earlier impression post still stand. Though I have gotten used to the telegraphs and have even come to understand what they are trying to do, it still makes the game to damn bright at times. There is entirely too much flashing going off on the screen constantly. I really do not recommend this game if you are prone to seizures because there is no doubt this game will give you one. Not only that but the background environment is entirely too busy, especially the tutorial zone. Every square inch is covered with whirling doodads, laser scanners, surveillance droids complete with flash bulbs and a myriad of other things. I am reminded of when George Lucas discovered CGI and reissued the Star Wars movies. He wasn’t content to just update Jabba the Hutt, he also had to throw new CGI into every single frame. There is really no need for this. The tutorial is so jammed packed with stuff that its distracting. There is simply no need for so much stuff jam packed into everywhere. 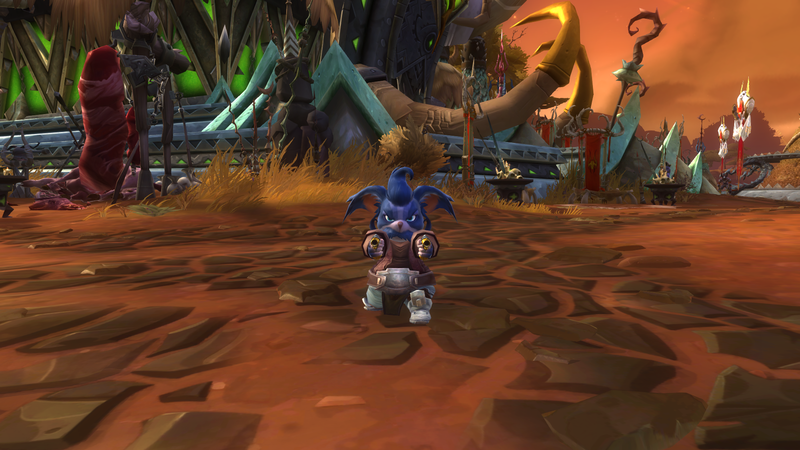 I decided to make a Chua Spellslinger named Gizzbro this time. I will say the Chua are one of the greatest races in any game. They are basically cute Gremlins that are insanely smart at making weapons. I really like everything about them, which is good because I don’t like most of the other races. I really dislike the human walking animations, the mechari aren’t appealing and the beast race has some strange animations as well. But, the Chua make up for it. Combat-wise Wildstar is solid. Perhaps better than I thought initially. The combat is fast and frantic and there is a pretty good skill curve involved here. I can certainly see arena and rated battlegrounds being a big thing here. I am still not sure the telegraphs add or detract from the skill needed to play it but its fun regardless. Apologies to Wildstar Fans But This Looks Horrible. I have said I am no fan of the telegraph system in Wildstar. If only a few abilities are telegraphed it would probably be okay but when you telegraph everything it just looks horrible. Its a mish-mash of colored boxes, circles, triangles and cones on the ground and it just looks like a geometry monster vomited Skittles all over the place. To top it off, I don’t think it adds much to the combat system. You can accomplish everything they do without all the multi-colored telegraphs all over the place. Guild Wars 2 does it. Age of Conan does it. So does Tera and Elder Scrolls Online. And, yes, I know it can be turned off but if you turn it off you are automatically at a distinct disadvantage to all the players with them on. A summary and transcript of the ESO Reddit AMA hosted by the Matt Firor, Paul Sage, and Nick Jonkle on March 20, 2014. Characters will be wiped for early access/launch, you will be using the same login info/client as beta so don’t uninstall the game. Cashshop will just have a name change server and some vanity pets in the future. No plans for anything else after that. Playing any race in any alliance is a pre-order perk and we have no plans to offer this bonus in any other way. Decision to make starter island optional was due to feedback about the game being too much on rails. The quest NPCs that leads to them will be much easier to find on live. We also are tweaking the tutorial to offer more explicit weapon types to choose from. Our goal is that through weapon drops, lootable chests, and this choice you should be able to find any weapon you want by the time you exit Coldharbour. Development post launch will be on Craglorn, our first adventure zone. More info on that very soon. Looking at adding in more options in the future for player customization. Partial charged stealth attacks dealing more damage than fully charged ones is a bug that will be fixed soon. Dunmer fire talent passive is having some bugs cleaned up, and going to +2%/4%/6% fire damage. The Altmer elemental talent is going to +2%/3%/4% damage with all elements. Armor and spell penetration are not working properly on traits at the moment. The desired effect is that when I have 10% armor penetration, I ignore 10% of the target’s armor value. Fix should be with either launch or shortly after. We are currently building several new skills for release in future patches, and while I can’t confirm the specifics, many new healing and support spells will be included. Despite the Buggy Beta Weekend, I Do Have High Hopes for ESO and Here Is Why…. The beta this weekend was a mixed bag at best. There were things I liked. I loved the collision system and combat felt much less “floaty”. The ability to start out in your factions major city was nice. Both were good additions, especially the combat and collision system. It really improved the feel of combat, which was one of the biggest gripes that people had with game. 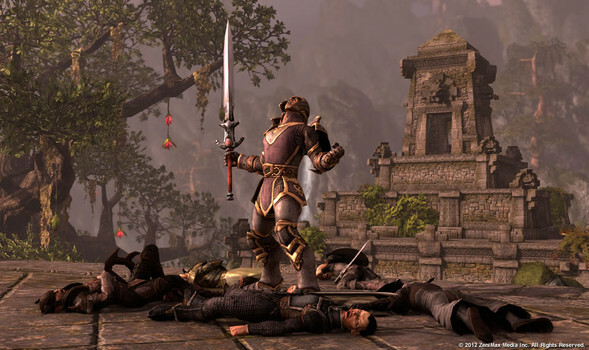 How Big is the Cyrodiil (the Elder Scrolls Online PvP Map)? Its Big. Really Big. Found an interesting video on You Tube this evening. In it, a guy compares the size of the Eternal Battlegrounds in Guild Wars 2 with the Cyrodiil map in Elder Scrolls Online. Now, I knew Cyrodiil was bigger than the GW2 maps but I had no idea it was this much bigger. The difference is pretty striking.